4458 Capital Dome Drive has a Walk Score of 44 out of 100. This location is a Car-Dependent neighborhood so most errands require a car. Georgetown - LAKE VIEW! 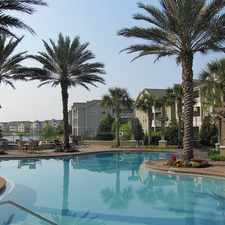 Spacious end unit 3 story townhome in the community of Georgetown near the St. Johns Town Center! This a 3 bedroom, 2 full and 2 half bath townhouse with an office and a 1 car attached garage! 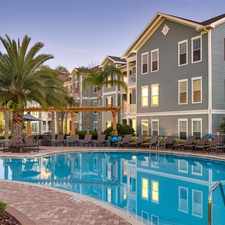 The Georgetown community offers a community pool, a cabana, a fitness center, and is within walking distance of the St. John's Town Center! Tenants to apply & pay HOA registration fee. Only 2 vehicles allowed per household. Explore how far you can travel by car, bus, bike and foot from 4458 Capital Dome Drive. 4458 Capital Dome Drive has some transit which means a few nearby public transportation options. Car sharing is available from RelayRides. 4458 Capital Dome Drive is in the Windy Hill neighborhood. Windy Hill is the 83rd most walkable neighborhood in Jacksonville with a neighborhood Walk Score of 31.